4) A working knowledge of geometry. If you have these things you can figure out the details by looking at the pictures and make your own lovely clothespins. 1) We get our maple wood from a local mill that supplies wood for guitars. We buy the ends that they can not use. I have to say this is my favorite part. I love that we use wood that is leftovers for someone else. It is perfect for us! 2) The wood is milled to the dimensions we need. This is a blank ready for processing into clothespin halves. 4) The piece is then flipped over to receive the notches needed to hold the torsion-spring arm and the finger grooves. 7) The piece is then cut into strips. These are the clothespin halves. 8) As you can see these strips have rough edges. It would take FOREVER to sand each one so they are placed in a tumbler. The concept is similar to a rock tumbler. They go round and round and as they rub against each other the edges are smoothed. This is a picture of a usa clothespins half before and after tumbling. 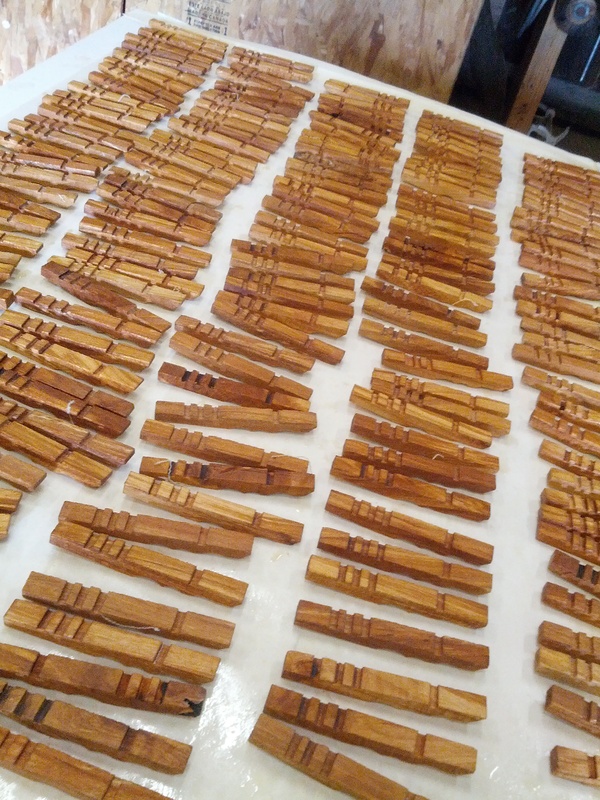 9) We then cover the tumbled clothespin halves in linseed oil and let them dry for 48 hours. 10) Now time for assembly. 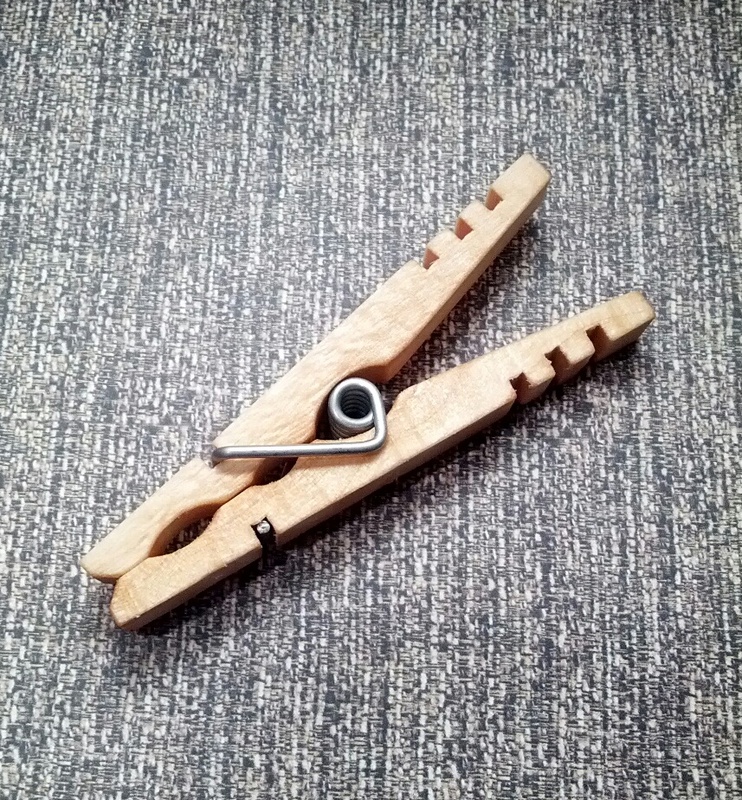 We have this simple, nifty gadget that helps us assemble made in usa clothespins without being bitten by the springs. The springs we get from an American Manufacturer. They are stainless steel, and tightly wound springs. They are much stronger than your common usa clothespins spring so the assembly tool is wonderful. 11) Wallah! Finished clothespins! They are beauties. Okay, yes I am obsessed, but with these nifty, useful, pretty gadgets everywhere who wouldn’t be. 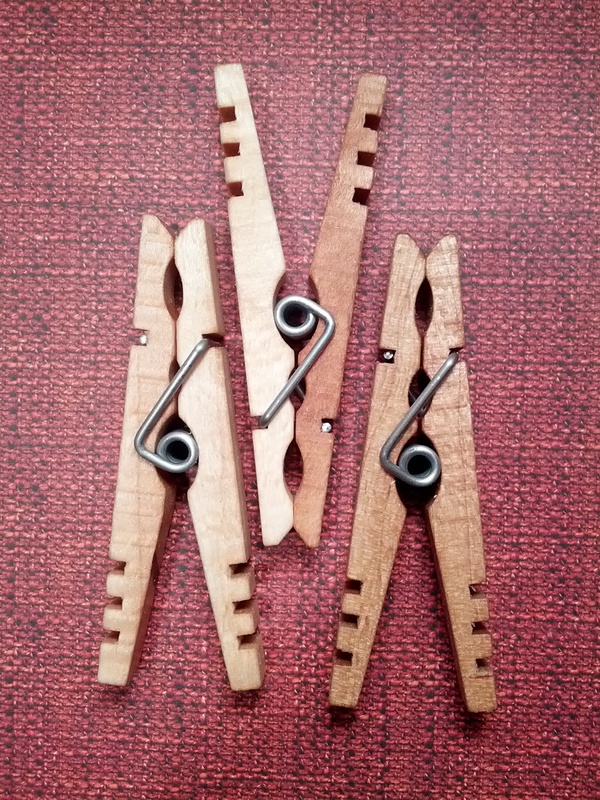 When you use made in usa clothespins for your home, crafts, organizing, hanging clothes on the line, or for any random job its so nice to have something functional and visually fantastic to look at. Hope you enjoyed finding out more about how we make clothespins. If you have questions, we would love to answer them in the comments below. Good way of telling, and pleasant article to get data concerning my presentation focus, which i am going to convey in college.